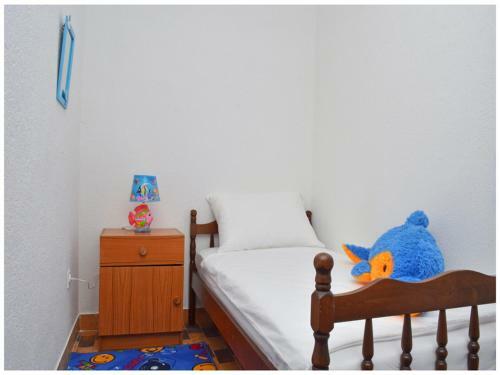 Trogir-Apartments.co.uk offers you the largest list of private accommodations in Okrug Gornji available on the internet, a rich photogallery and much more. Find apartments, villas with pool, studio-apartments, from cheap rooms to luxury apartment with no reservation cost. Check out guest reviews and ratings, and have a best vacation in Okrug Gornji. Apartments Cavar town of Okrug Gornji Comfy and perfectly embellished apartment will be an outstanding beginning place for exploring Okrug Gornji in the region of Dalmatia. Entertainment and Outdoor adventures: tennis court, Satellite tv, DVD player. Air-conditioned accommodation, 58 square meters, great guest reviews town of Okrug Gornji Modern apartment close to the center of Okrug Gornji, Trogir Riviera in Croatia, is completely equipped with all facilities needed for a carefree vacation. This modern house has a private parking and apartment has large balconies with a stunning sea view. Entertainment and Outdoor activities: TV, Satellite television, radio. Distance to the restaurant: 0.1km. Distance to the ferryboat: 2km. Distance to the beach: 0.2km. Distance to the bar: 0.1km. Apartment, 140 square meters town of Okrug Gornji The accommodation is completely equipped with everything to make your vacation pleasurable. Distance to the beach: 150m. Distance to the bar: 150m. Distance to the restaurant: 150m. Distance to the train: 3km. Entertainment and Outdoor activities: TV, Satellite television. Holiday apartment, close to the beach, with AC town of Okrug Gornji The accommodation is fully equipped with everything to make your vacation pleasurable. Distance to the beach: 60 m. Distance to the restaurant: 180 m. General details: air conditioner, fitness, barbecue, parking. Apartment, 44 square meters, close to the beach town of Okrug Gornji For a perfect holiday with family members or buddies on the sea shore, choose this family apartment, located in the tourist center of Okrug Gornji close to Trogir. The spacious apartment is equipped with all the amenities required for a relaxing vacation, like a/c and private parking. Distance to the restaurant: 1 km. Distance to the beach: 110 m.
Luxury accommodation, with pool, Okrug Gornji town of Okrug Gornji Book this comfy and completely equipped summer accommodation located in a tranquil and silent part of a small coastal village of Okrug Gornji close to Trogir for an unwinded family vacations in remarkable natural surroundings. General details: air conditioner, safe deposit box, fitness, garden, terrace, balcony, barbecue, parking. Entertainment and Sport: TV, Satellite television, radio. Accommodation, 550 square meters town of Okrug Gornji Comfortable and budget-friendly online villa, located in a peaceful part of Okrug Gornji is a suitable place for summer relaxation while still being near to the main city attractions. Distance to the train: 35km. Distance to the beach: 70m. Distance to the restaurant: 40m. Distance to the bar: 150m. Entertainment and Outdoor activities: TV, Satellite television. Accommodation, max 9 persons town of Okrug Gornji price per day from € 211 Book comfortable and reasonably-priced holiday villa situated in a peaceful part of Okrug Gornji, only 350 m away from the nearest beach. Entertainment and Sport: bike, outdoor grill, Satellite television. General details: heating, barbecue, parking, outdoor shower. Accommodation, 290 square meters, with terrace town of Okrug Gornji The accommodation is completely equipped with everything to make your vacation pleasurable. Distance to the train: 30 km. Distance to the beach: 10 m. Distance to the bar: 100 m. Distance to the ferryboat: 30 km. Entertainment and Outdoor activities: motorboat, boat, boat dock, TV, Satellite television. Villa EM town of Okrug Gornji Vacation home EM is a Detached villa with a grill, positioned in Okrug Gornji. The unit equipped with a kitchen with a dishwashing machine and oven. Towels and bed linen are available in this self-catering accommodation. Villa Leona 2 town of Okrug Gornji Situated in Okrug Gornji and only 150 metres from the nearest beach, Vacation home Leona presents a swimming pool and a fitness centre. 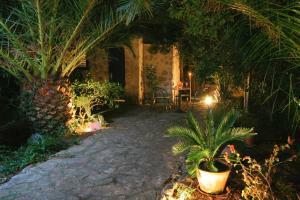 This self-catering accommodation presents gratis wireless internet and free car parking. Villa Leona offers you a furnished back yard with sunbeds and umbrellas. Featuring a shower, private restrooms also come with a bath tub and a hairdryer. The closest dining establishment and a grocery store are obtainable within a 1-minute walk. Villa Maria town of Okrug Gornji price per day from € 250 9 km from Trogir Harbour in Trogir, this vacation home presents a back yard with a swimming pool. The unit equipped with a kitchen with a dishwashing machine and oven. Towels and bed linen are provided in this self-catering accommodation. There is a private toilet with a bath or shower and shower. The closest flight terminal is Split Airport, 9 km from Villa Maria. Villa Paula town of Okrug Gornji price per day from € 60 Providing free internet access and, Vacation home Paula presents a swimming pool and enjoys a natural surrounding. Positioned in Okrug Gornji on Čiovo Island, it is a 2-minute walk from the beach of the Adriatic Sea. All rooms at Villa Paula are equipped with easily designed furniture and feature LCD satellite television and air conditioning. Each room has a private balcony. The Villa's dining establishment serves Croatian specialities as well as various fish and meat meals and pizzas. Its bar serves local wines and imported alcoholic refreshments. Trogir is 2.5 kilometers away, and Split Flight terminal can be reached in a 15-minute drive. Villa Zenit town of Okrug Gornji price per day from € 238 Situated on the southern coast of Čiovo in Okrug Gornji, Vacation home Zenit rises above the sea and presents a dense back yard with a sun outdoors terrace and free-to-use Barbecue amenities. The villa is fully air-cooled and comes with a living room that provides a seating area and a flat-screen satellite tv, while the well-equipped kitchen includes a microwave. The private restrooms also come with a bath and a shower. The historic Old City of Trogir that enjoys UNESCO protection, is approximately 5 kilometers away. 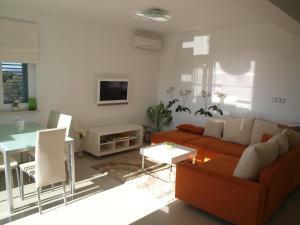 Trogir-Apartments.co.uk offers a superb selection of apartments in Okrug Gornji for your perfect summer vacation. Besides the sightseeing in Okrug Gornji, the town makes an excellent base for exploring many islands that lie just offshore. Just enter your travel dates, a number of travelers, and click 'Search' for a list of apartments in Okrug Gornji for rent. Okrug Gornji and Donji are situated on western part of island Ciovo, by geographical position in the very center of Dalmatia. With its 2007 sunny hours per year, it belongs to sunniest tourist destinations of Croatia. A multitude of restaurants, taverns and other catering facilities, as well as the great offer of private accommodations (suites, rooms, mansions) with many hidden basins and clean sea make this Riviera very attractive to all the visitors. Diving school, fitness center, tennis courts, renting scooters as well as the possibility of every-day trips by boat to nearby basins is available to guests. From Okrug, there is a beautiful view to archipelago and islands of Solta, Drvenik Mali, and Veliki. Nearness of Trogir, which is under the protection of UNESCO, offers the possibility to enjoy in nearly 3000 years old town. You can also go to trips to 60 kilometers remote National park Krka with famous cascades, city of Split 28 km remote, and familiar pilgrimage site Medugorje. Airport Split is only 8 kilometers away.